Muck Boots In 1999, an American company, The Original Muck Boot Company™ was started with the sole purpose of supplying the most comfortable, high performance outdoor footwear in the market. Our exclusive technology and construction sets the standard for comfort and quality in outdoor footwear. 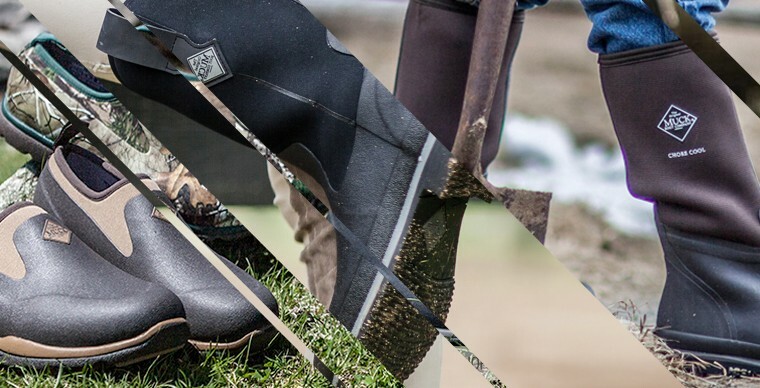 Today, Muck Boots™ has built a reputation on providing the most reliable footwear, that work anytime, anywhere, and with a touch of flare that has taken them into the fashionista marketplace. The Original Muck Boot Company™ - Style for those with Substance. Brandshop.co.uk are proud to add Muck Boots to our superb range of quality Brands and don't forget you get FREE DELIVERY for all our online orders go to our live chat and speak to our friendly team for any help.